Talleres Zitron is a Spanish company based in Gijon, Asturias. It has branches and agencies in many parts of the world including Downunder Mining in Australia. Zitron is a ventilation specialist. It is a leading supplier of permanent ventilation systems that incorporate the use of jet and axial fans. It has provided ventilation system solutions for many projects around the world including road tunnels, railways, metros and other similar projects. Zitron can provide all the design, manufacturing and service capabilities your ventilation project may need. This includes initial design concepts, computer modelling of air flows, manufacturing and testing, installation and commissioning. Zitron is approved and certified in accordance with the ISO 9001 quality standard and ISO 14001 environmental standard. 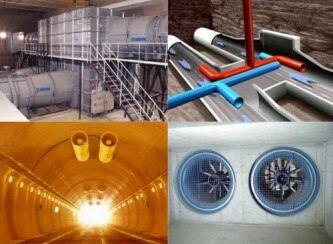 Please use Downunder Mining as a point of first contact for all your project’s ventilation requirements.